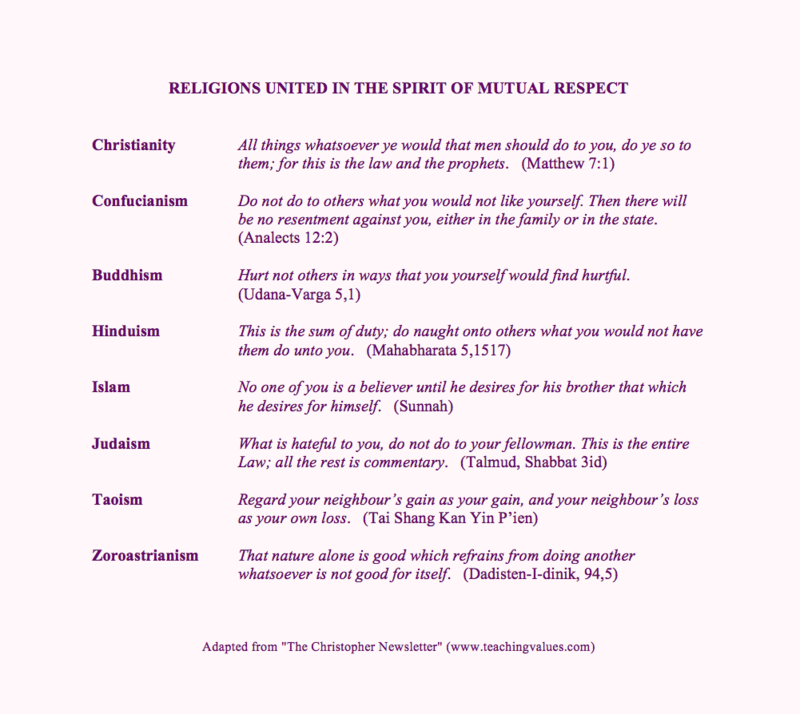 CIVIL-ISATION recognises that at their source, all the great religions understood life to be sacred. The CIVIL-ISATION initiative is not a religion or even an organisation and has no wish to conflict with or impose ideas on any established religion. 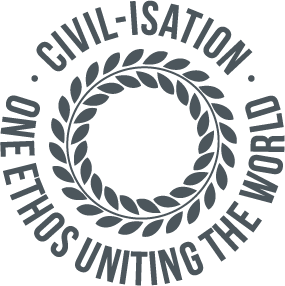 CIVIL-ISATION actually seeks to find the common thread, to allow all people - religious, agnostic or atheist - to share a simple understanding. 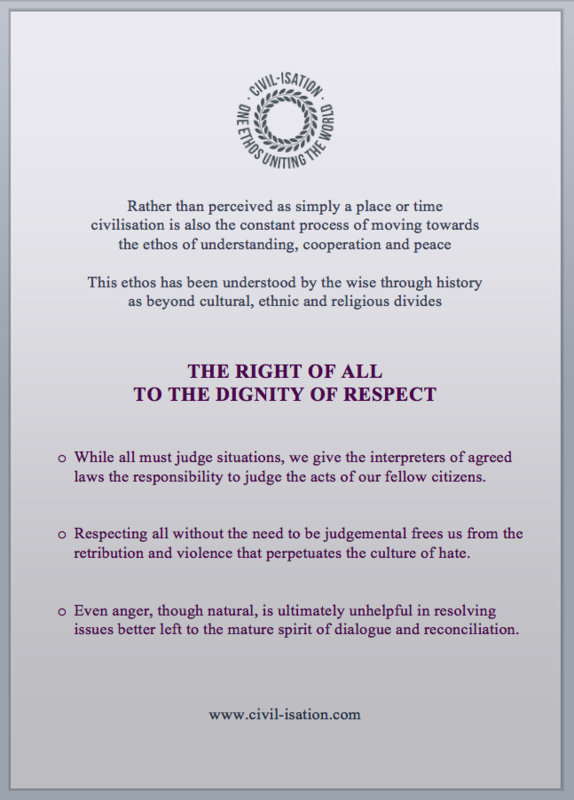 The right of everyone to unconditional respect. You don't need to admire or even agree with everyone but they still deserve your respect as human beings. 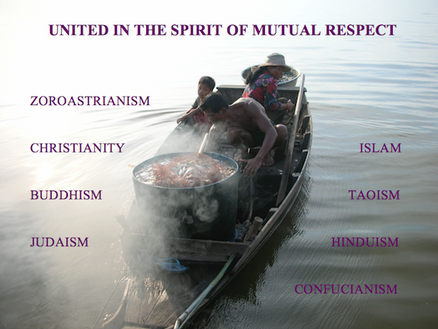 In fact, all religions recognise something sacred within humanity, something that should be cherished. By focusing on what we share, we can then celebrate the differences in our cultures and our interpretations of life without the need for conflict. “Any religion or philosophy which is not based on a respect for life is not a true religion or philosophy." that is love, compassion and forgiveness."